Built next to the majestic Vilcanota River, Aranwa Sacred Valley is composed from a restored hacienda decorated in Colonial style. Situated amidst the mystical landscape of the Inca Empire on the route to Machu Picchu, Aranwa Sacred Valley invites the magical balance of the ancient Andean culture and modern sumptuousness in the peaceful haven of the Huayllabamba district. Just one hour away from the city of Cusco, Aranwa Sacred Valley invites a majestic experience with 115 brilliantly decorated guestrooms and suites, three meeting rooms, delicious dining options that include traditional flavors infused with international techniques, and a wellness center promoting balance and serenity. 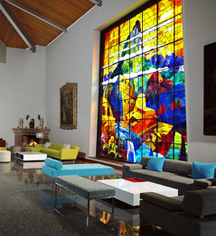 Aranwa Sacred Valley, a charter member of Historic Hotels Worldwide since 2012, dates back to 1900. Originally the factory's mill, the Colonial guestrooms in the main building of the house and courtyard display the parallel system of vaults that were built on stone walls to let the water move the decks of filling, washing, dying wool, and hot-pressing. Transportation: Golf carts, may be arranged through the concierge; rates apply. Built next to the majestic Vilcanota River, Aranwa Sacred Valley is composed from a restored hacienda decorated in Colonial style. 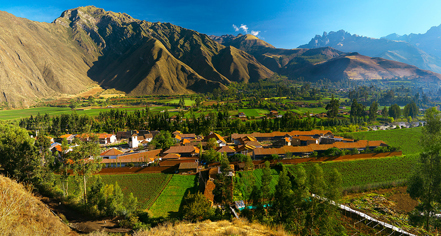 Learn more about the History of Aranwa Sacred Valley .